Good Friday to you all, even though it’s (Friday the 13). I had some free time and felt like alittle Copic coloring would nourish the soul today. 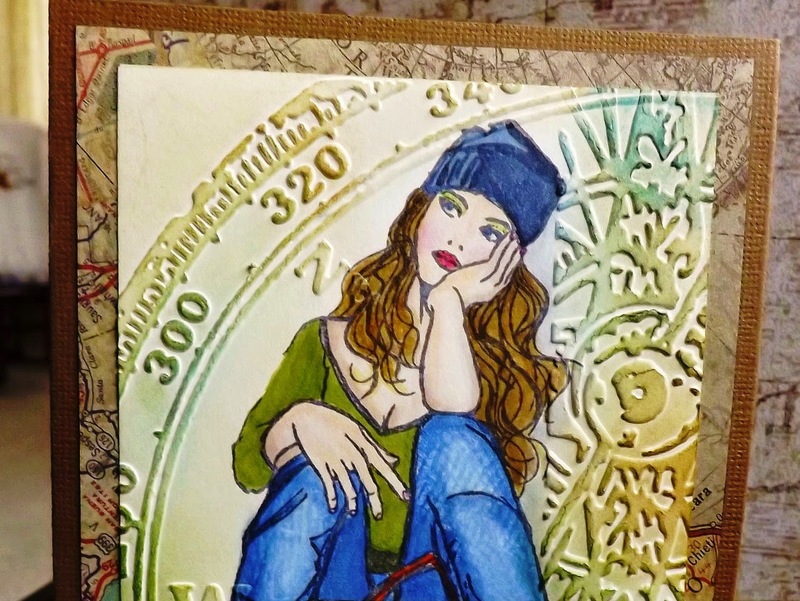 This image is from Indigo Blu called Lost in thought. I couldn’t wait to color this image. Isn’t she just so dreamy? 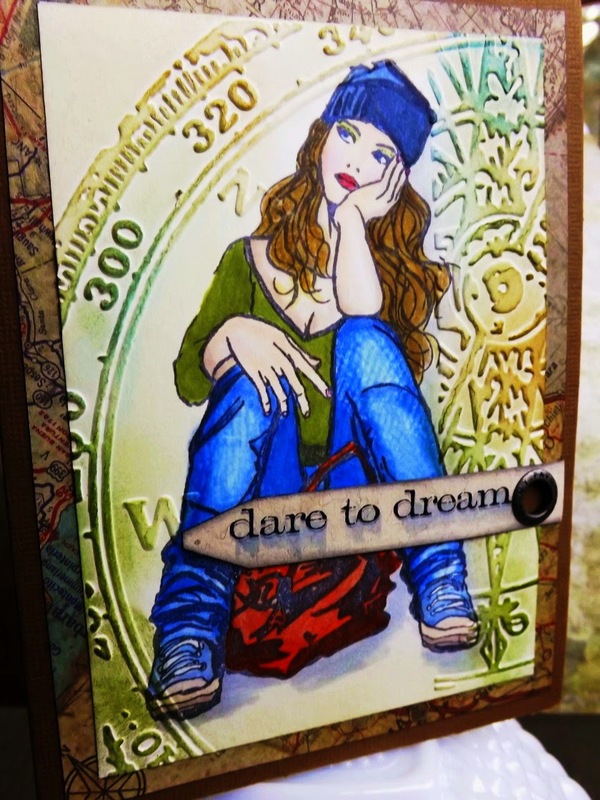 stamp is from Tim Holtz (Simple Sayings set). Thanks for stopping by, have a very lucky day. 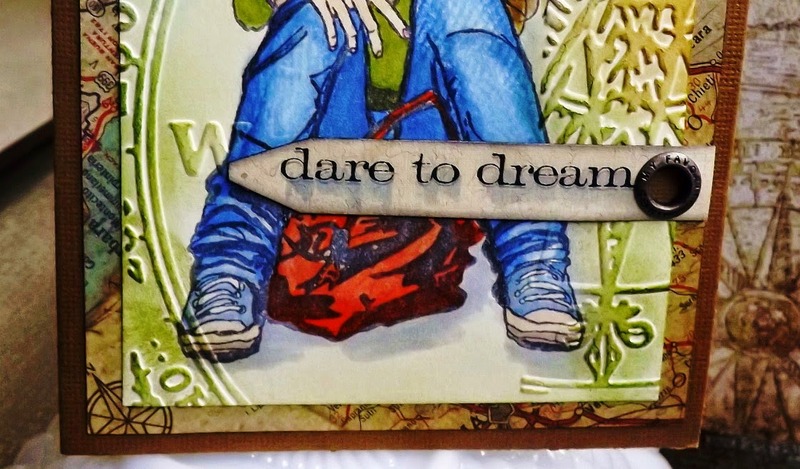 The image is beautiful, and the embossed Bg looks great. Oh Vada, this card is stunning!! Sorry it has been ages since I've been around. Vada, she is gorgeous and what great coloring you did! 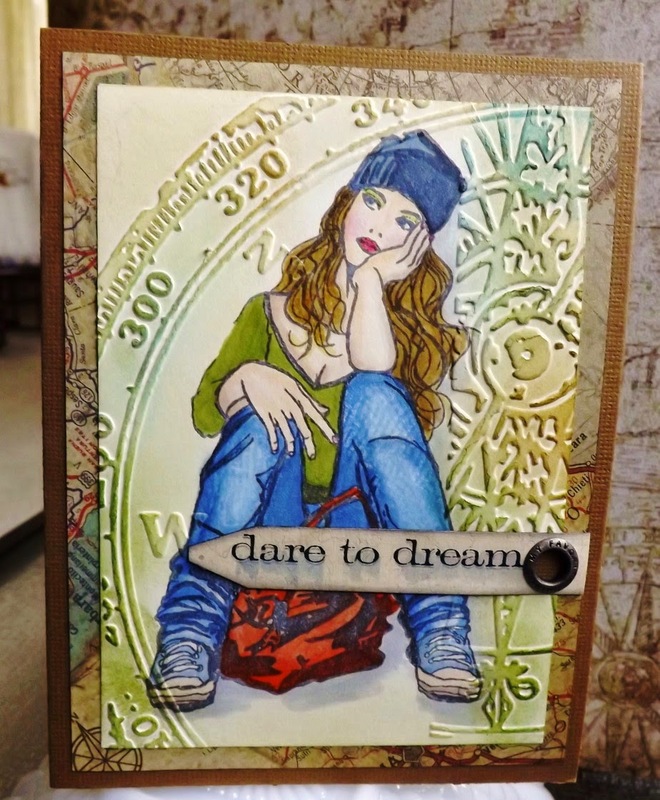 The embossed background is so fabulous! Hope you had a wonderful Valentine's Day. We went to Portland over the weekend and it was really nice weather! So how cold are you??? Hugs!